– by North: from A1 Motorway, exit “Firenze Nord”, go to Viale Guidoni, then follow indications to “Centro” and “Viali di Circonvallazione”. 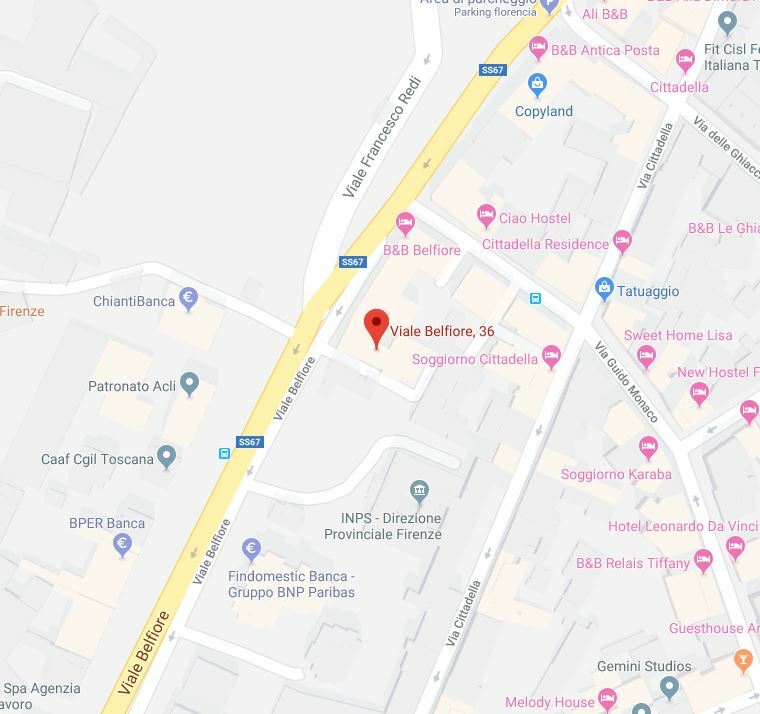 Turn right in Viale Strozzi, then go to Viale Belfiore. – by South: from A1 Motorway, exit “Firenze Sud”, go to Via Giovanni Agnelli and Via Marco Polo. At the traffic light of Ponte a Varlungo , turn left to Via Enrico De Nicola and follow SS67 up to “Viali di Circonvallazione”. Follow “Viali” until Viale Belfiore. – from “Firenze SMN” Railway station, take the tram no. 2 towards”Aeroporto” and get out at “Belfiore” stop. -from “A. Vespucci” airport, take the tram no. 2 towards “Unità” and get out at “Belfiore” stop. Alternatively, take the shuttle bus “Vola in bus” to the Train Station, then follow “By Train” indication. -from “G. Galilei” international airport in Pisa, take the train to “Firenze SMN”, then follow the indications above.